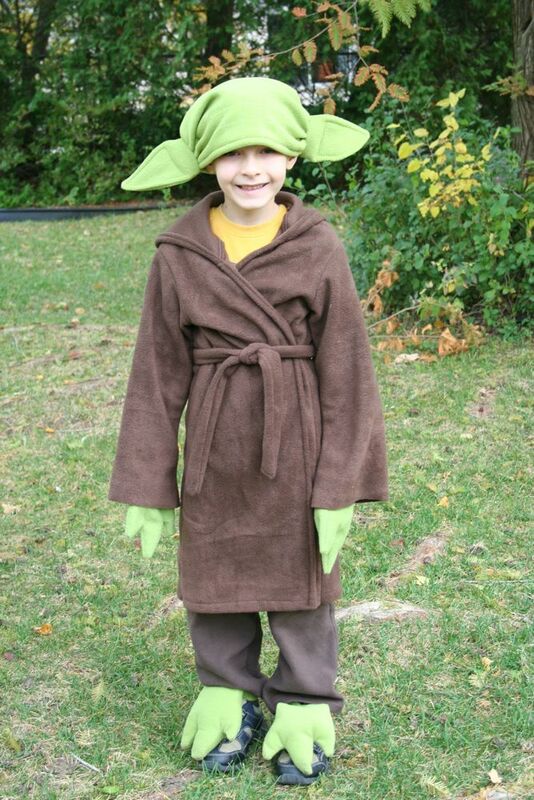 Sew Can Do: Yeah, We're Halloween Star Wars Nerds. 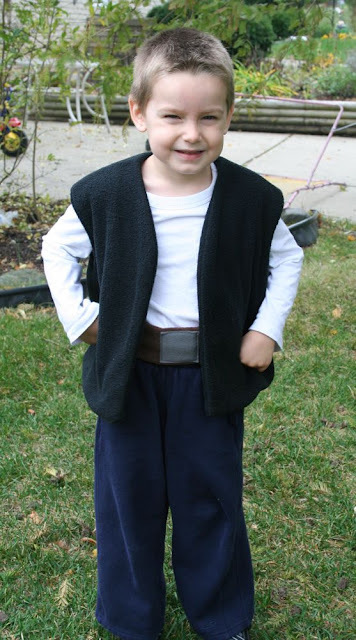 Yeah, We're Halloween Star Wars Nerds. My Space Princess Hairdo Hat started it all. Just a crazy creation I made for fun that got an amazing reaction after I showed it in a post over the summer. I was stunned people wanted to buy one. So I started making them for my Etsy shop and was kicked into hyperdrive when it was featured on Etsy's Daily Find. 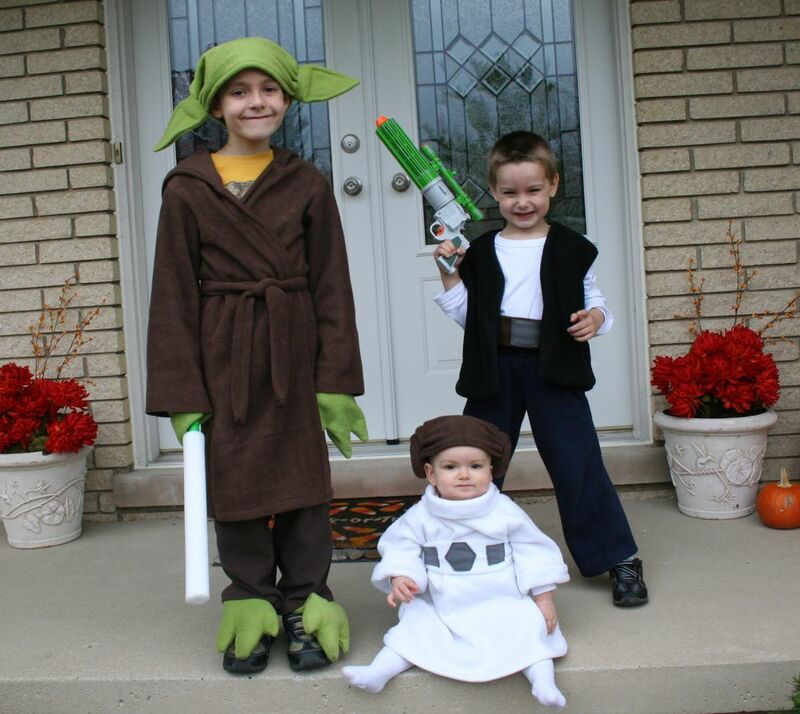 I had to take it a step further for my own kids & make a full-on trio of Star Wars costumes for Halloween. 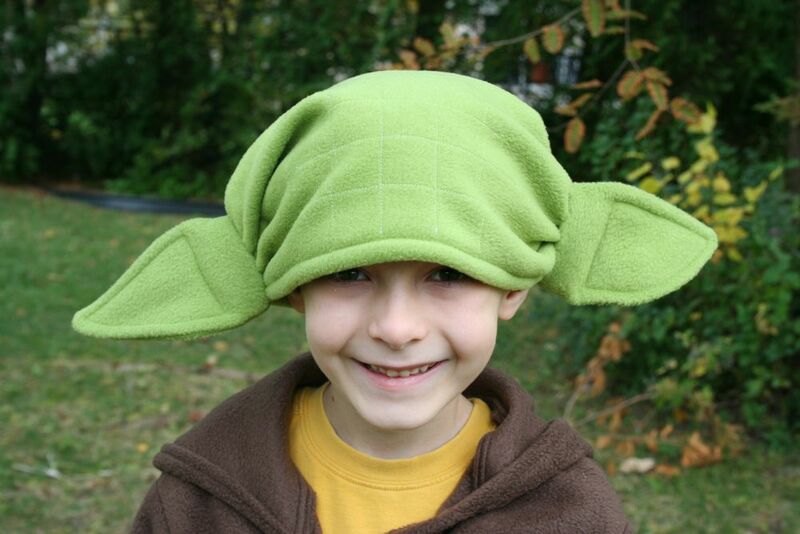 With the number of Halloween hats I'd been furiously sewing, a few costumes seemed like a walk in the park. Here they are in all their glory for your viewing pleasure. 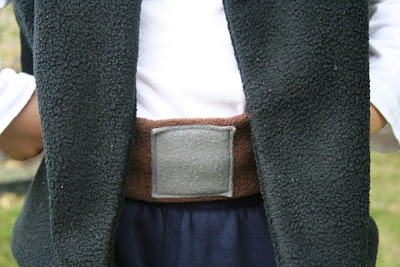 I was too cheap & pressed for time to search around for something to look like Leia's gown, so I made my own. I found it easier to make my own pattern and create a fleece gown with detachable belt. Yeah, I know that sounds crazy, but seriously, it was less work than spending hours surfing online or out in the stores. It snaps up the back so it's really simple to get on & off too. Of course, my guys couldn't be left out, so I made my signature Little Alien hat for Ethan as well as the rest of the ensemble. 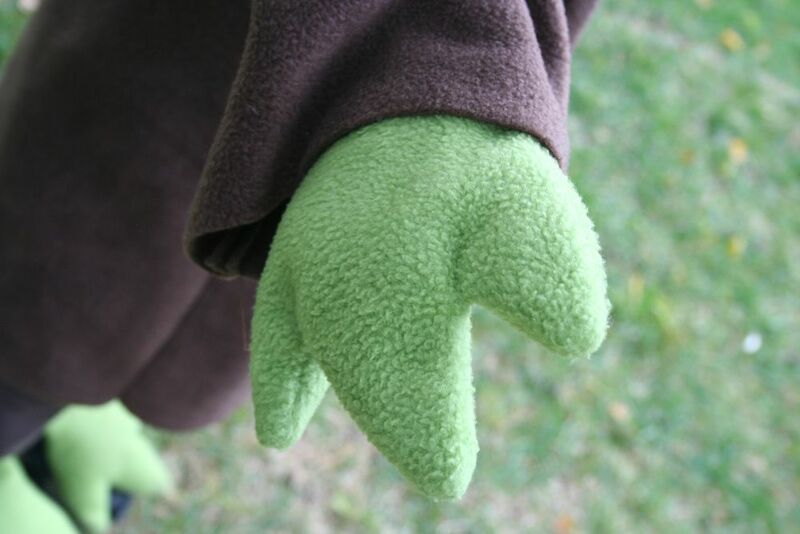 A customer had asked me to make hands & feet for her a while back, so after creating those there was no reason not to go full force on his costume too. Did you catch the "force" reference there? Yeah, I'm a total nerd. I modified a bathrobe pattern with bell sleeves and more length and snagged a light up sword (2 for $1 at Target). Score! My middle child is obsessed with the lights and sounds of light sabres & what he calls "blast-overs" (aka blasters), so he's our Han Solo. Cheap white shirt & blue sweats paired with a fleece vest and snap-on belt I made and he's ready for action. We've already worn them 3 times for various Halloween parties and gotten a great reaction, so we're ready to rock it out on the big night. This is Serena's first Halloween costume & chance to trick or treat so I think it's going to be a blast (or blast-over as my little guy would say). Have a great Halloween everybody!! Oh my goodness! They are so cute!!!! You should enter them in my Handmade Halloween Costume contests! Fantastic! I love that they are all dressed for one theme. When I was growing up my sister and I were always either the exact same thing, or two very different things... Like a clown and a panda bear or something. P.S. Found you from BCD. Come check out LBT when you get a chance. Thx! Absolutely fantastic job! 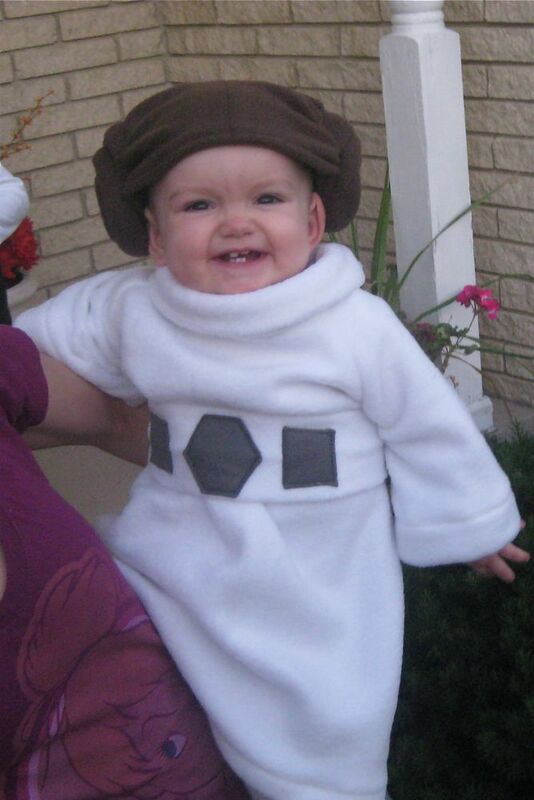 Your kids will ALWAYS remember that you put so much love into their costumes! 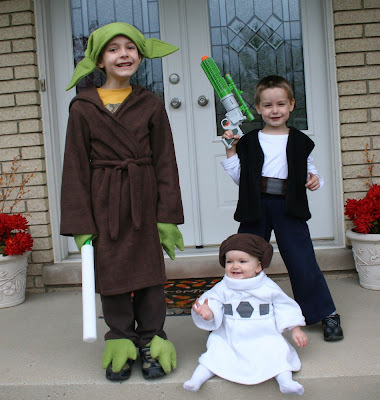 Seriously, that is the cutest Yoda costume I've ever seen, and geeky or not they had me laughing, in a good way of course. cheryl you did such a great job with your kids costumes! what a cute little troup and what a great mommy you are! Those look so much better than the over-priced junk I see in the stores, and I'm sure they're much more comfortable, too. I want to be reincarnated as your kid in my next lifetime. Love it! I remember seeing the Leia hat over the summer- I'm not surprised that you got a lot of requests for it. Very adorable. My family is doing Star Wars for Halloween, too- my husband's going to be Han Solo, I'm going to be Leia, and our daughter's going to be an ewok. I can't believe this awesomeness!!! what a great job Cheryl!!! thanks for sharing the link to your blog with me! 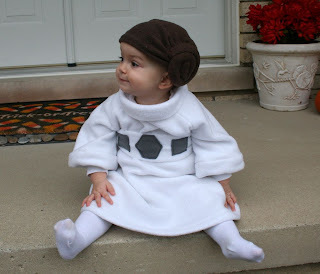 Your kids look so cool and your little princess Leia is ADORABLEEEEE! These are so stinkin' cute! I love your little princess. Gotta love a good StarWars nerd! These are fantastic... and handmade is ALWAYS better! Your efforts to go full "force" really paid off. The costumes look great! They look warm and cozy, too, which is always a plus for a kid's costume. How adorable! I love that y'all get the whole family in on the theme and the nerdiness. Very cool. Bwahahaha!! 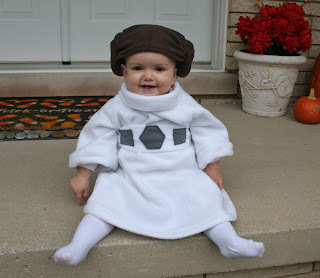 That Leia costume is so hilarious. What a great job you did!!! So cute. These are AWESOME!!!! We are huge Star Wars geeks as well and when my son was little, he had some great SW costumes, too. I adore your little Princess Lia! What a cutie! You shall sell the Leia costume too, I would probably buy one to fit the hat you've made for Lexie. Seriously adorable! I love themed Halloween costumes! Those hates are amazing. Linked this to my FB page today :). Featuring these this week! Happy Halloween! Love the hats, you did an awesome job on all the costumes! Is Bigfoot True or phony? For more than four hundred a long time, there have been reporting’s of a guy like beast that is definitely completely coated in hair. This is so adorable! 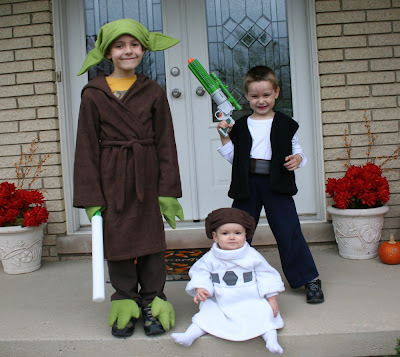 Love all three costumes and that Leia hair is just too much! Thanks for linking up to CraftingCon!